A former governor of Jigawa State, Sule Lamido, has responded to a statement in which former Vice President, Atiku Abubakar said he should step down for him in the presidential race. Atiku and Lamido are among 12 presidential aspirants seeking to fly the ticket of the Peoples Democratic Party (PDP) in next year’s presidential election. Atiku who was in Dutse, Jigawa State on Monday in continuation of his presidential campaign tour‎, reportedly asked Lamido to step down for him in the presidential primary because of his senior. “Junior brother cannot contest against his senior brother, the junior brother instantly stepped down for his brother due to his loyalty,” Atiku said. But the former governor in a statement by his spokesperson, Adamu Muhammed Usman, said he was not in the presidential race to step down for anybody. “While it is true he is older than me age-wise, I’m senior to him politically because I was in the House of Representatives in 1979 when he was an employee of Nigerian Customs Services. "And if age is the criterion for standing election than he should drop out for President Buhari,” Lamido stated. He added that‎ Lamido has been patient, loyal and committed party member, stating that even if Lamido did not show interest in the presidential race, PDP should have called him to be the flag bearer. 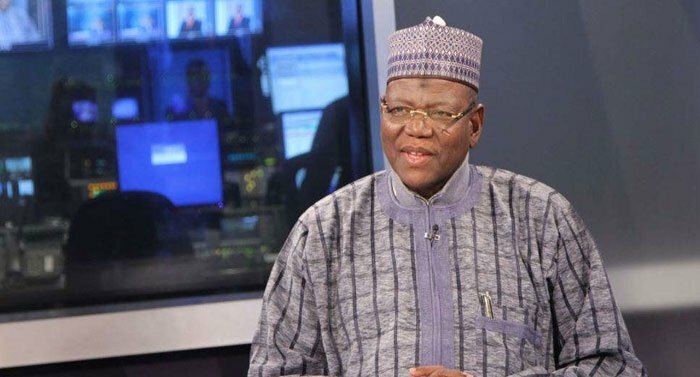 The former governor noted that if there is anyone the other aspirants should step down for, it should be Sule Lamido “because he has the good and political will, experienced and capacity to confront the ruling party, APC. “Also, if Lamido is to step down, why would he aspire in the first place? Sule Lamido is out to run for the president come 2019, God willing,” Adamu stated.